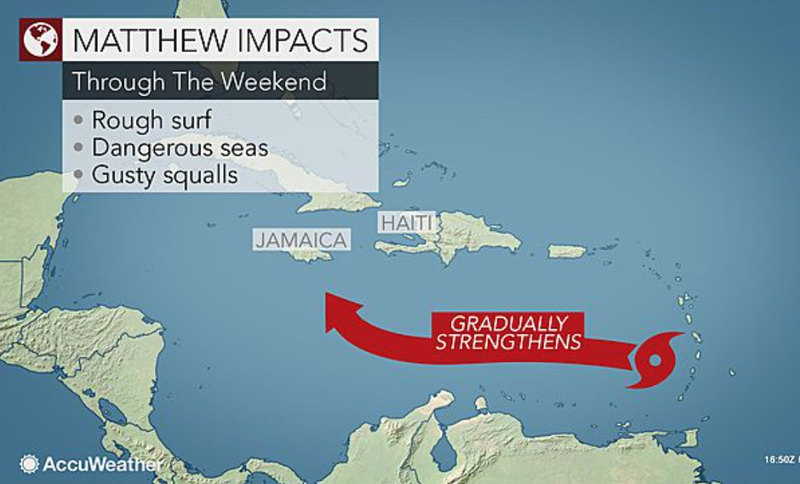 Tropical Storm Matthew is strengthening in the Caribbean. Undoubtedly, you are going to be reading a lot of about Matthew the next few days because once it turns (see map above), it is going to move into the vicinity of the United States. However, the range of uncertainty is higher than usual as to the storm's future location. To amuse you, here is a plot of computer models' locations. 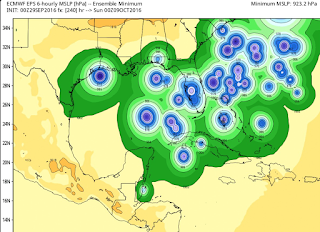 There's nothing wrong with this: any potential landfall in the United States is more than five days away and we do not claim any skill in forecasting beyond that time interval. So, I would like to caution our readers that there will undoubtedly be a lot of hype early in this process. We'll provide -- free of hype -- forecast and safety information if the need presents itself.